It all began around September 2017. It was a gray morning outside our Hong Kong office. The typical on-and-off rain and thunderstorms that are trademark for the typhoon season were dampened people’s spirits: just another Monday. With so many entry points for approaching the project, we went ahead to look for type references with characteristics that may work as a replacement for Circular. One by one we filter out all the ones we don’t see fit. I still remember that all the geometric sans samples got axed first: clearly we really wanted to stay away from what we already had. So here are the ones which survived the first shift. After we agreed on these parameters, we took the process to the drawing board. At first, we made an angular, rather humanist sketch, but after just three characters we already felt the shape was a bit too old for us. More playfulness was needed. So we tried another sketch. Straight away this felt a lot better. As you have noticed, we also played with some diacritics to see how it could/should look, even though we didn’t think much about language support in the beginning (more on this later). The sketches began to look promising. A lot of fine-tunings would be done in the digital production anyway, so we decided not to waste more time on more sketches and brought the process to the computer. So I sat in front of my computer, open up Glyphs, clickity-click, clackity-clack. Soon enough I already got the first eight characters done: adhesion, which is my standard test string. 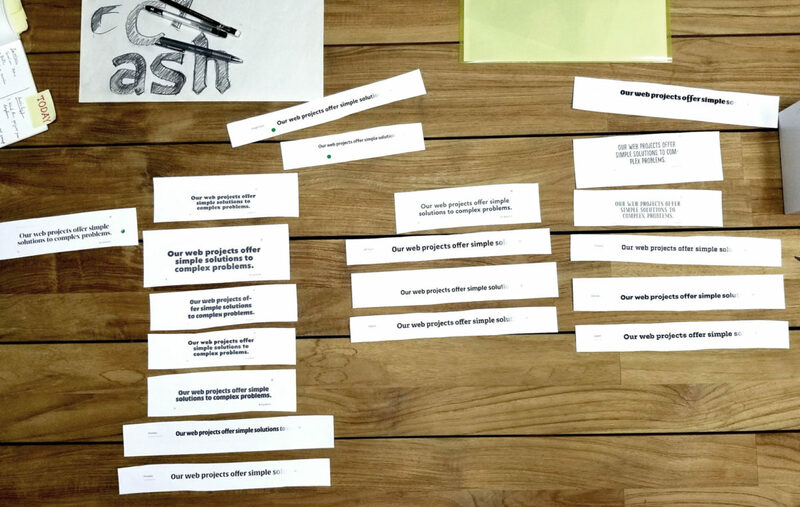 We tested the design on other words composed of these same eight characters and the balance looked promising. But man, there’s something to the shape of it. There’s a lot of personality—it’s joyful, yet quite sturdy. The character design aligns with Grayscale’s personality: professional yet fun and friendly, so naturally, it felt like a good fit. Boosted by this optimism for the project, I was strongly motivated to create more glyphs. The organic, humanist design of Farro just did not match the geometric visual style of our brand; the tech punch overrules the Grayscale branding. I showed it to the team and as everyone shook their head, we quickly agreed that it was indeed a bad match. As we had recently rebranded Grayscale, adjusting the brand to Farro was unpractical and out of the question. So now we were facing a crossroad: On the left, the path where we start over to design another type from scratch for the Grayscale brand. On the right, it’s a path where you know Farro will live happily ever after, albeit not a life with the Grayscale brand. We turned right. It wasn’t difficult for us to make the call. 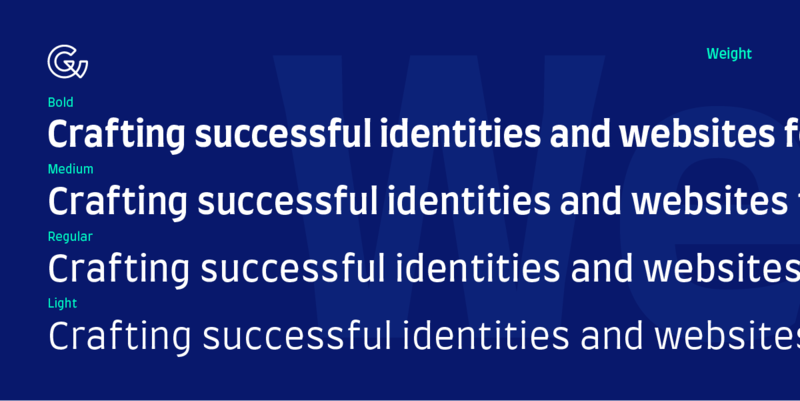 We like our brand identity, and while it continually evolves, we weren’t desperate to review the display typeface. There is potential in Farro to flourish on its own, so we agreed to build on it. Farro was conceived out of curiosity, not necessity. We began expanding on the typeface. At first there was the basic Latin set with some punctuations and symbols in only bold weight. Then we added Western European characters to it. In particular we’ve had a lot of fun (and tears) making both the upper and lowercase German Eszett (ß). After the west, we focused slightly towards the east with Central European characters. I’m a little familiar with Polish, so I created the ogonek (little tail) and learned that kreska (stroke) is actually more upright compared to the regular acute. 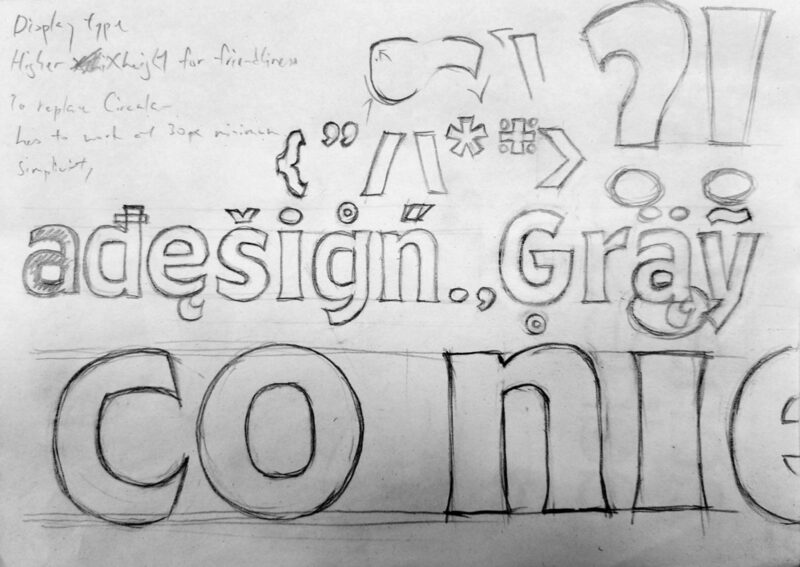 Designing a typeface is like a never-ending story. Once you got one part done, there’s a whole bunch others waving for attention. After letters there are numbers, punctuations, symbols, alternatives, kerning, another weight; and so on. If you don’t decide to stop expanding on it, it’ll never get released. 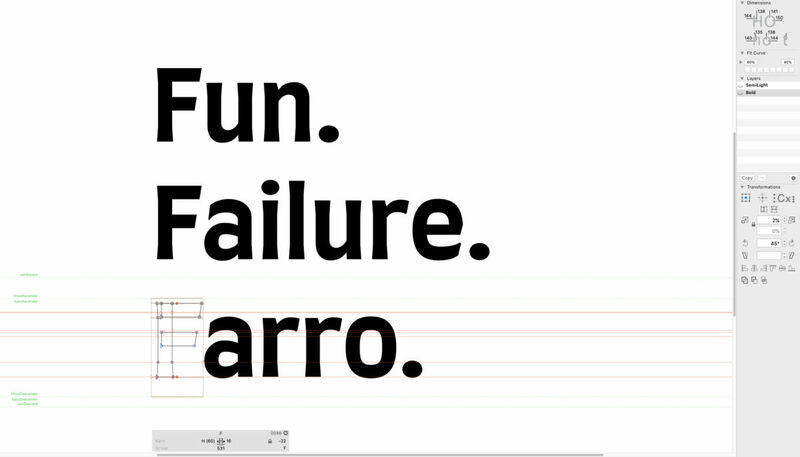 So we learned how to approach a type design project. Once it’s good enough, get it shipped; make expansion, get it shipped; complete a new stage, get it shipped. 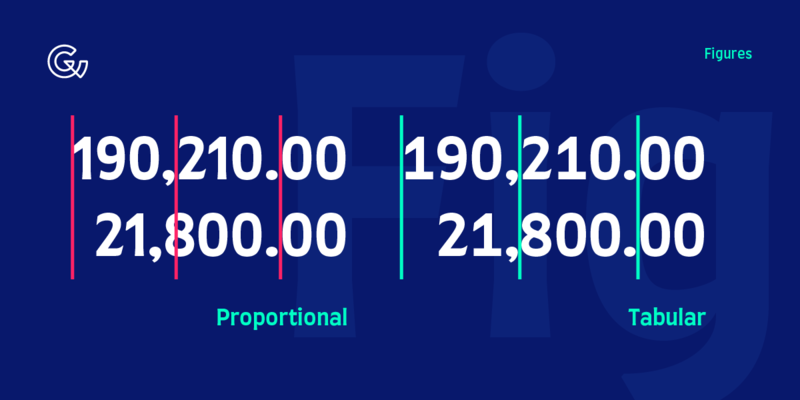 We worked on Farro till it reached a point where the spacings and contours are relatively stable, and expanded into a font family with four weights, and most importantly: we’re all pleased with the result. And so, almost a year later, on August 28th, 2018, we’ve launched our first typeface: Farro. We’ve also created a promo site for Farro so you can experience the typeface at your convenience without downloading the fonts first. However, you’re welcome to download the fonts because we’ve released it at no charge for commercial and personal use! We’d love to know what you think about Farro. Email us at [email protected] to tell us what you think or if you’ve used Farro somewhere, we’d be happy to feature you. After all we’re making Farro because we’re curious, we want to learn from the process and improve our skills, so your comments will help us grow. And if you’re interested in getting a custom typeface made especially for your brand, we know exactly how hard it is to get it done in Hong Kong. Let us know your requirements, contact us now and let’s talk about it. Hope you enjoy Farro and hope it stays with you happily ever after. A self-proclaimed polyglot, Aceler is a typography enthusiast working as a front-end developer at Grayscale. He uses his front end development and typography chops to establish better visual structure for websites. During off hours, he will either be spending time making typefaces or dancing to swing music.